Delibar has been released and it was awesome for the users who already had a Delicious account, but about a week ago the Delicious Yahoo team decided that new users should authenticate using only their Yahoo account. 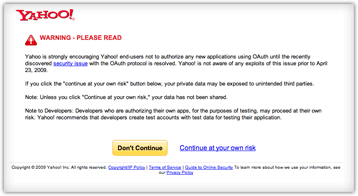 Yahoo is forcing us to use OAuth for users with Yahoo accounts, but they are encouraging users to not authorize ANY application using OAuth… We wrote an email to the Delicious support, let’s see if there is something that can be done. We will keep you updated via Twitter or on our blog. OMG please fix it! I have been putting off Delicious for forever, but When I saw Delibar, it just made me drool and I had to jump on board. So is Yahoo buying Delicious gonna be good or bad in the long run? I used to have a Delicious account and killed it as well because I didn’t really have a need for it at the time, but now I’m getting more and more bookmarks and I want to share the, with some friends so I wanted to install Delibar and get a new Delicious account. Then, this happens. Yahoo is the pit stain of the internet. Guess I’ll try to find another way since this doesn’t work. Sorry Yahoo/Delicious/Delibar..
We plan to release the new version of Delibar this week, but unfurtunately some delicious API need some fixies that depends on Yahoo! staff. The new version will come with a demo renew for those using Yahoo! IDs. Yahoo Account works fine for me now. Thanks a lot. doesn’t work for. Delibar wants to be re-authorize the token from yahoo. When clicking on the button re-authorize, nothing happens (no browser). any ideas? 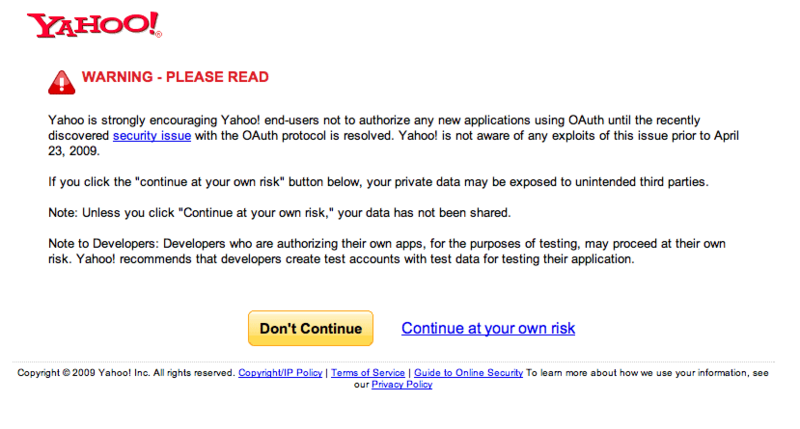 tried re-installing, even creating a new yahoo account etc. nothing worked. I’m having the same issue with Delibar. Might have to give pinboard a try since this issue looks like it hasn’t been resolved for over 6 months.